Always a reason to be grateful . . .
Short and sweet post today. . . If I could change this quote it would say . 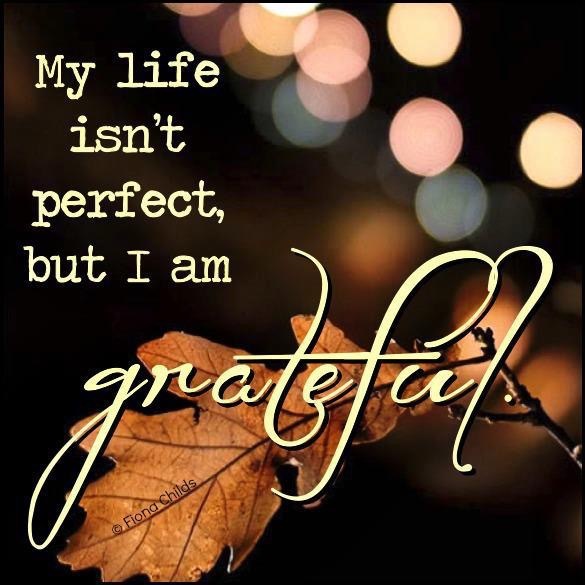 . .
My life isn’t perfect AND I am grateful. My life will never, ever be perfect. Nobody’s life is. one big giant lesson after another . . . It is interesting when someone comes back from a trip and it was completely uneventful. Sure they had a great time, but there were not as many stories to tell!